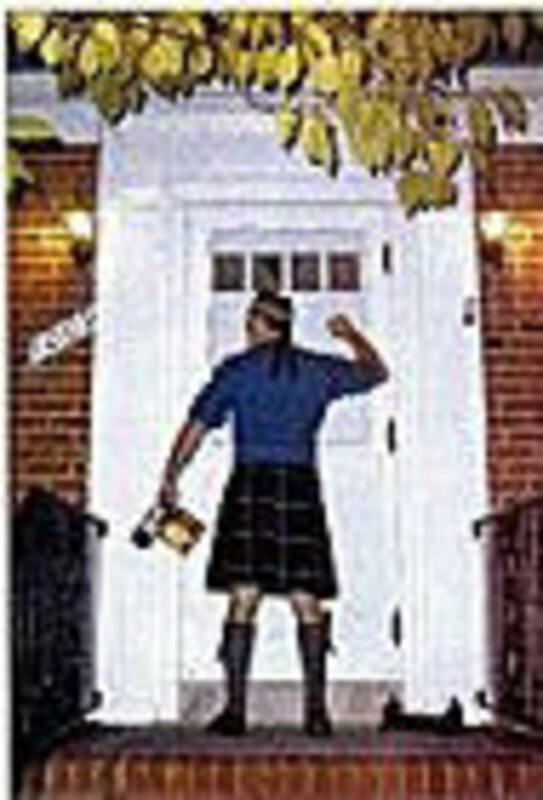 Some of my earliest memories connect with this celebration, directly from my grandmother, Rose Anderson, who though separated from Scotland for almost ten generations, still held firm to those traditions, including the love of a nip of whiskey, unseen by my teetotal grandfather. I’ve only been to one “official’ Hogmanay, one that started at midnight and went on until the sun rose on January 1st. I no longer have the stamina for that, nor do I think I could survive another hangover of that order. But at midnight, if we manage to make it that late, we will sing what brings tears to my eyes no matter what time of year. And I’ll drink a cup o’kindess, and memory, and love-too-late, for grandmother Rose who loved the words of Robert Burns, memories of her and the sadness of her life part of my DNA. And for you, dear Reader, I wish you a year of love, and contentment, and a path of goodness in the darkness. And gies a hand o’thine! Looking Back on Things I’m Done With…. Through the magic of Facebook, this post showed up on my Feed – from one year ago today. So I thought it might be a good time to review this — to see if I’m still Done With what I identified, and to consider adding more. Which I did — at the end of last year’s thoughts. Hope that you too are deciding what to be done with, and hope it gives more light and life to your days. And this week, more working to do what I can, however small. Follow Wall-of-Us(wall-of-us.org) for concrete ways you can make your voice heard. I’m doing what I can – following suggestions put out by Wall-of-Us (wall-of-us.org). If you’re not following it, take a look. It makes having your voice heard easy. And we need to make our voices heard. This week the news of our president-elect continues to confound and amaze. I know this, though I am still not ready for TV news, nor NPR. I tune into BBC World News, where the calamitous is delivered in calming tones. I also read newspapers, though I, like so many, have become increasingly skeptical of what is printed. Such is life in our post-truth world. And this week, in yet another effort to regain some kind of normal, I tried cooking – well, baking to be specific. Never one of my strengths, nonetheless I found a recipe for Old Bay cookies – savories, as the Brits would say. Now some years ago, in a spasm of minimalism, I gave away my hardly-ever-used food processor and most of my cookbooks. When this recipe called for such device, I thought, well, they didn’t have food processors for how many centuries and still managed to produce cookies, crackers and other assorted biscuits. If Jane Austen could do it, certainly it is not beyond me. So, I kneaded, pummeled, with love, of course, this mixture of butter and flour until it approximated something like cookie dough. I lined the cookie sheets with parchment paper, delighted that I found the last fragment at the back of a drawer, and hoped for the best. They baked. As I slipped them onto the cooling rack, I saw that they actually looked like English biscuits. Hope fluttered near. Perhaps the miasma was lifting. I called in my chief taster, he who will eat anything that I manage to cook and compliment me on it. A cup of tea, with two Old Bay biscuits beside it. He bit. No response. Finally, “Have you tasted these?” I took one. Inedible. Yet they looked so lovely. So, it appears that baking isn’t the answer. But I’ll keep on trying. Along with working for some kind of justice and a country we can once again be proud of. I will not give up. And I’m keeping those biscuits as a reminder. I brought my lemon tree inside a few days ago. The temperatures plummeted to the high 20s, and I didn’t think that my covering it up with an afghan would do the job. and yes, it was time to bring it inside for the winter. I did this with much trepidation – between the cats and my brown thumb, I still am nervous. And there it is, with its one lemon – still growing, turning a lighter green (not quite yellow) every day, and getting a little softer to the touch. How will this abrupt change of domicile affect this beloved piece of fruit that I have been tending each day? I placed it in a bay window, where it gets a bit of, but not enough, sun and am hoping for the best. So far, the cats haven’t noticed it, it has retained all its leaves, and it continues to soften and get more (but not quite) yellow. Maybe it can weather the storm. Maybe with love, it can weather the storm. And I think, I hope, perhaps I can too, this political and national storm that rages around us. I still cannot bring myself to watch TV news; I still change stations when NPR national news comes on. I do listen to BBC World News, so I am not totally unaware, though most times I would like to be. And I am doing my part, something, however small, but something. I have subscribed to Wall-of-Us.org, an organization that sends weekly emails with specific actions that can be taken. The founders, two “nasty women,” I think/hope, are doing a tremendous service for those of us who know that we need to move beyond hand-wringing to action. And if we all do one thing, even one small thing, somehow that has to count. At least with us. And my lemon is hanging on. We must as well.